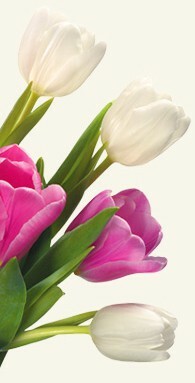 Login to my flowersforitaly.com account to track the status of your order or visit our customer service page. Login to my flowersforitaly.com account to modify your order or visit our customer service page. All changes must be 24 hours before delivery. After that time, we cannot guarantee there will be enough time for the changes you request. At Flowers for Italy we only use the very best in security for our online payments. We use PayPal for our online payments and as one of the largest payment processors in the world their security is top notch. flowersforitaly.com keeps customer information completely confidential. Our company does not share customers' personal information for third-party use or sell it to advertising agencies. In the event of a legal requirement, fraud, or law-enforcement request, your personal information may be shared upon request from the relevant authorities. The delivery costs are: Alessandria Alessandria City 10.00 EUR, Ancona Ancona City 10.00 EUR, Andria Andria City 10.00 EUR, Arezzo Arezzo City 10.00 EUR, Bari Bari City 10.00 EUR, Barletta Barletta City 10.00 EUR, Bergamo Bergamo City 10.00 EUR, Bologna Bologna City 10.00 EUR, Bolzano Bolzano City 10.00 EUR, Brescia Brescia City 10.00 EUR, Brindisi Brindisi City 10.00 EUR, Catanzaro Catanzaro City 10.00 EUR, Cesena Cesena City 10.00 EUR, Como Como City 10.00 EUR, Ferrara Ferrara City 10.00 EUR, Florence Florence City 10.00 EUR, Foggia Foggia City 10.00 EUR, Foril Foril City 10.00 EUR, Genoa 10.00 EUR, Guidonia Guidonia Town 10.00 EUR, La Spezia La Spezia City 10.00 EUR, Lecce Lecce City 10.00 EUR, Liguria Imperia 10.00 EUR, Livorno Livorno City 10.00 EUR, Lucca Lucca City 10.00 EUR, Milan Milan City 10.00 EUR, Modena Modena City 10.00 EUR, Monza Monza City 10.00 EUR, Naples Naples City 10.00 EUR, Novara Novara City 10.00 EUR, Padua Padua City 10.00 EUR, Parma Parma City 10.00 EUR, Perugia Perugia City 10.00 EUR, Pesaro Pesaro City 10.00 EUR, Pescara Pescara City 10.00 EUR, Pistoia Pistoia City 10.00 EUR, Piza Piza City 10.00 EUR, Placenza Placenza City 10.00 EUR, Prato Prato City 10.00 EUR, Ravenna Ravenna City 10.00 EUR, Reggio Calabria Reggio Calabria City 10.00 EUR, Reggio Emilia Reggio Emilia City 10.00 EUR, Rimini Rimini City 10.00 EUR, Salerno Salerno City 10.00 EUR, San Marino San Marino City 10.00 EUR, Taranto Taranto City 10.00 EUR, Terni Terni City 10.00 EUR, Trento Trento City 10.00 EUR, Treviso Treviso City 10.00 EUR, Trieste Trieste City 10.00 EUR, Turin Turin City 10.00 EUR, Udine Udine City 10.00 EUR, Venice Venice City 10.00 EUR, Verona Verona City 10.00 EUR and Vicenza Vicenza City 10.00 EUR. How do I contact flowersforitaly.com customer service if there is a problem? 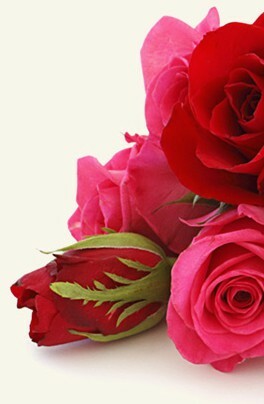 Use my flowersforitaly.com account to access your account and contact customer service. Alternatively, call our customer service department.